Uh-oh… Alex is here! 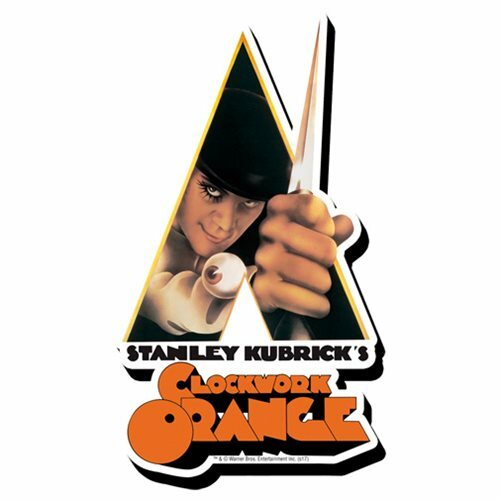 The leader of the droogs is front and center in this imposing A Clockwork Orange Knife Funky Chunky Magnet. This isn't your run-of-the-mill magnet. It's wooden, it's laser die-cut, and it's chunky! Ages 13 and up.